Given the historic nature of today, and the recent warm weather, I thought it was time for an ice cream post. 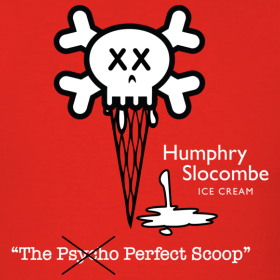 Don't just trust me on these awesome ice cream places. Post your own favorites below! 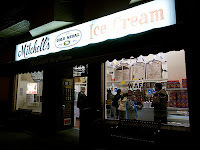 Mitchell’s Ice Cream (688 San Jose Avenue): You’ll find plain vanilla at this Noe Valley ice cream institution, around since 1953, but it would be a shame to pass up Mitchell’s unique flavors, like grasshopper pie, Mexican chocolate, tropical fruit, halo halo, Kahlua mocha cream, ube (purple yam), sweet coconut, avocado, and lychee. They specialize in Asian flavors. Prepare to take a number and wait. And wait. The store is small. The line is long. But it’s worth it. It's a bit tricky finding parking near there. Swensen’s Ice Cream (1999 Hyde Street): This is the original Swensen’s, opened in 1948. There’s no seating at this store (unlike the huge Swensen's where I grew up), but you can try the coffee milkshake or go for toasted almond or classic flavors like mint chip and pecan praline. The Fairmont Heritage Square isn’t far away, near another favorite ice cream shop, Ghirardelli. You can burn a few of those calories off while you walk back. Bi-Rite Creamery (3619 18th Street): Admittedly this is not the best name for an ice cream shop. But they use Straus Family organic dairy to make their ice cream, mixing the cream with locally-sourced organic fruits and flavorings. 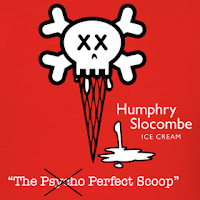 Plus, the ice cream is really, really good. Try the roasted banana, orange cardamom, earl gray, ginger, honey lavender, or salted caramel varieties. TheHotel Whitcomb isn’t far from this Mission shop. Smitten Ice Cream (432 Octavia Street, SF) - get it made before your eyes with their liquid nitrogen contraption. Talk about fresh! Ice cream is seasonal, and you might find strawberry balsamic, fresh mint chip, TCHO dark chocolate, Meyer lemon gingersnap, maple brown sugar squash, sticky toffee pudding, olive oil with lavendar shortbread and others. Ghirardelli Square (900 North Point St., San Francisco). Touristy but still awesome an HUGE. Go here for the ambiance and the smell. The large size means you can split the sundae so you don't fill ill after. And you get your free square of chocolate in there too! Mr. and Mrs. Miscellaneous (699 22nd Street, San Francisco) (no website!). Look for their yummy Fudgsicle, made with Valrhona chocolate. Other flavors include malted milk balls, bourbon and caramel, salted caramel, pink squirrel, chicory coffee, black and tan beer ice cream, candied violet, chocolate chip basil, Earl Grey tea, dirty Chai tea, horchata, You'll also like their eco-conscience. 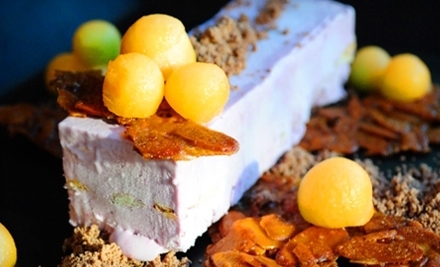 Candybar (1335 Fulton Street, SF) is an awesome date night place - gourmet desserts and wine. What could be better? Following the ice cream theme, their desserts include ice cream sandwiches (made with chocolate macaroons, blueberry vanilla ice cream and blueberries). For good measure, here are some other desserts: honey almond panna cotta, lavender honey creme fraiche semi freddo, and peanut butter jelly time (chocolate tart, peanut butter cream, salted candied peanuts, and blackberries). Cocktails, just as important, include blood orange cocktail, jasmine sparkle, Candybar lemon drop shot (soju and frozen lemon sorbet), and 50/50 (soju, orange soda, and vanilla). Rosa Mexicano (30 Mission Street, SF) has its annual ice cream festival running July 31-August 25. They'll feature paleta popsicles (my favorite from visiting Loreto, Mexico), dessert guacamole, ice cream stuffed churros, plaintain and peanut butter cones, strawberry rose ice cream, Mexican chocolate and cajeta swirl.